If you’ve left it to the last minute to book your Easter break, fear not, there’s still plenty of time to figure out what you want from your next travel experience. 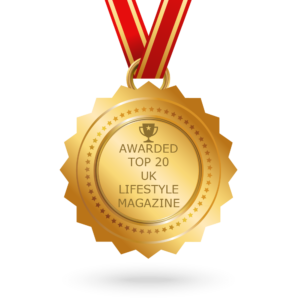 Whether that’s lapping up luxury in far-away places or holidaying closer to home at boutique resorts, there are destinations and deals still to be had whatever your interests and preferences might be. If you’re an adventurer, fun-seeker or expert-relaxer, there’s an Easter escape to tempt every type of traveller. From learning to perfect paella and dining on a vanishing island, to watching blockbusters under the stars on one of the world’s most exclusive private island, here’s six of the hottest luxury travel deals right now. The Ritz-Carlton, Bahrain has launched the ultimate castaway experience in time for Easter; board the resort’s brand new ‘Pearl 1’ boat and sail across turquoise waters to nearby Jarada Island – a deserted strip of land, only accessible for a few hours each day before the tide washes over its sugar-white sand. Upon arrival, explorers are seated on traditional, woven floor-cushions and greeted by a resident Chef, presenting a picnic of authentic Bahraini dishes, drinks and decadent deserts. Families must feast and make their memories before the island disappears under the waves. 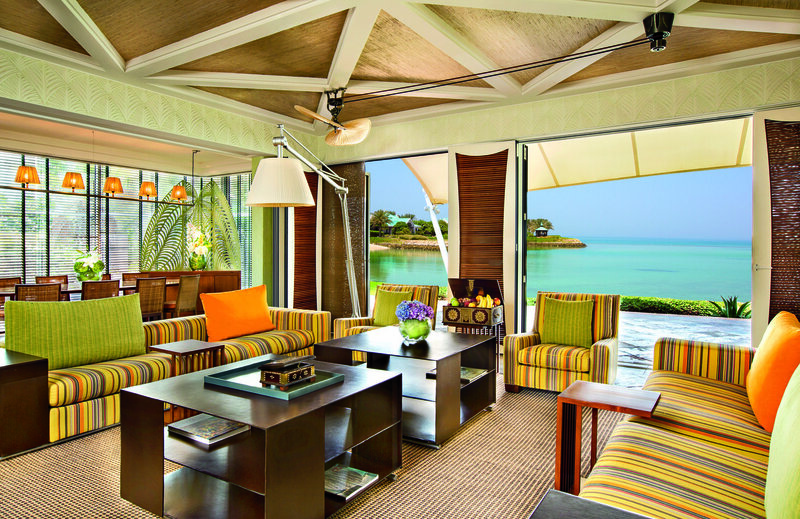 On the way back to the resort, discover undiscovered corners of Bahrain, keeping an eye out for dolphins before arriving back at the five-star hideaway. Back on land, opt for a cultural tour of the souks and spice markets of Manama, eat in one of the resort’s newly-revamped restaurants or learn the secrets of Bahraini cuisine with a traditional cookery class. Fairmont Maldives Sirru Fen Fushi invites family travellers to celebrate Easter the island way, with an array of special experiences to ensure a sun-soaked and carefree Easter break. Reinventing the wheel for family holidays in the Maldives, Fairmont Maldives is proof that the exotic archipelago isn’t just for couples. 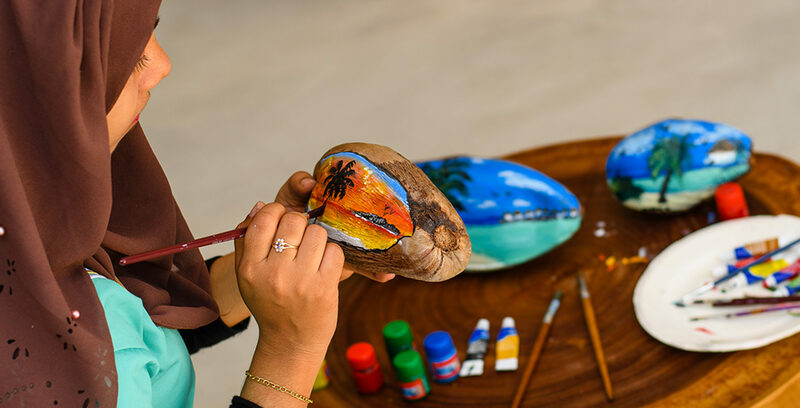 From the 16 – 23 April, families can expect a menu of Easter-themed activities, from palm leave art and sand sculpturing in the on-site art studio, under the watchful eye of a resident artist, making Easter costumes, face painting and cookery classes. After making their Easter-inspired masterpieces, children can make a splash in the 200m infinity pool – the longest in the Maldives – kayak around the lagoon, cycle sandy pathways or take part in beachfront competitions. When they’re not enjoying the Kids Club, ‘Majaa’, tiny travellers can enjoy an Easter egg hunt, while teenagers partake in the Ocean Discovery Camp, with marine life identification lesson, followed by a guided snorkelling session and visiting the resorts own manta ray cleaning station. Transporting guests far beyond the white sands and golden sunshine of Talamanca Bay this Easter, Nobu Hotel Ibiza Bay will reopen its doors on April 17th, inviting families to experience the ultimate playground for all ages. Ibiza Bay Kid’s Club will be back for children ages four to fourteen, with an unprecedented level of new sensory and exploratory activities, including fancy dress parties, mother/daughter braids by John Frieda Salons, jewellery making, sushi classes at Nobu and DJ workshops whilst the littlest of guests will learn about the local environment through Ibizan arts and crafts lessons using repurposed material from the beach. 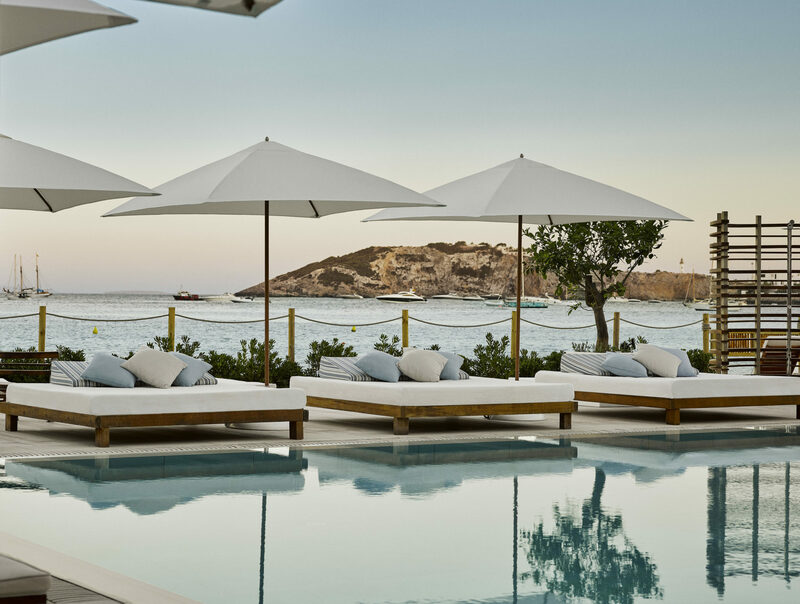 Located just two kilometres from Ibiza Town on the shores of Talamanca Bay, Nobu Hotel Ibiza Bay embodies the island’s easy-going ethos with its ‘no agenda’s’ ideology and eat anytime hours whilst providing the perfect base to explore the island. A destination that encompasses spontaneity and an essence of ‘go with the flow’ at Nobu Hotel Ibiza Bay, the possibilities are endless. 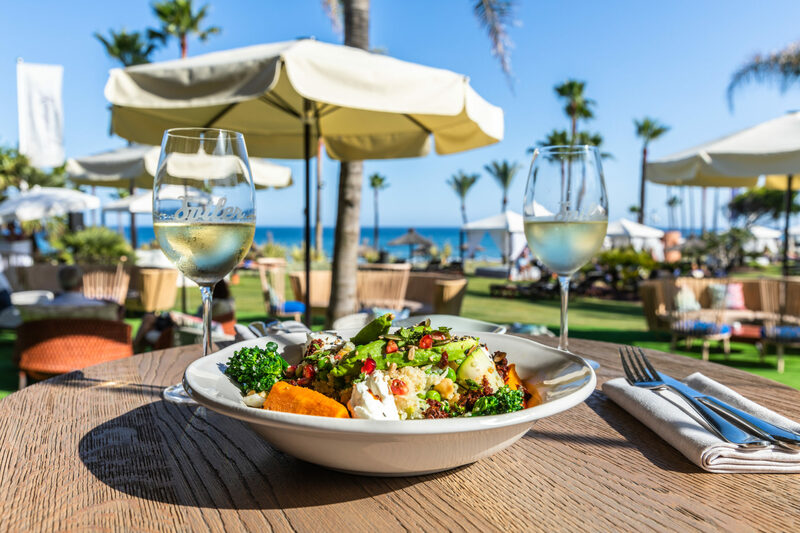 New for 2019, Kempinski Hotel Bahìa revolutionises family dining with the launch of a new culinary concept, El Paseo Del Mar, and the introduction of Andalusian cookery classes for children. From collecting fresh herbs and spices from the resort’s horticultural gardens, to washing, peeling and chopping under the watchful eye of Kempinski Hotel Bahia’s Head Chef, tiny travellers will learn the secrets of a perfect paella, and other zesty Spanish classics. Children can then invite their families to join them in the new Baltazar Bar & Grill, where they will feast on the freshly prepared plates, and taste a variety of authentic Andalusian dishes. For family travellers who want to enjoy the moderate climate, fresh food and sandy beaches of the Costa Del Sol – but want to avoid the busy beach clubs of nearby Marbella – Kempinski Hotel Bahìa, a luxury property near the palm tree-lined promenade of Estepona, offers an ideal, family-friendly escape. 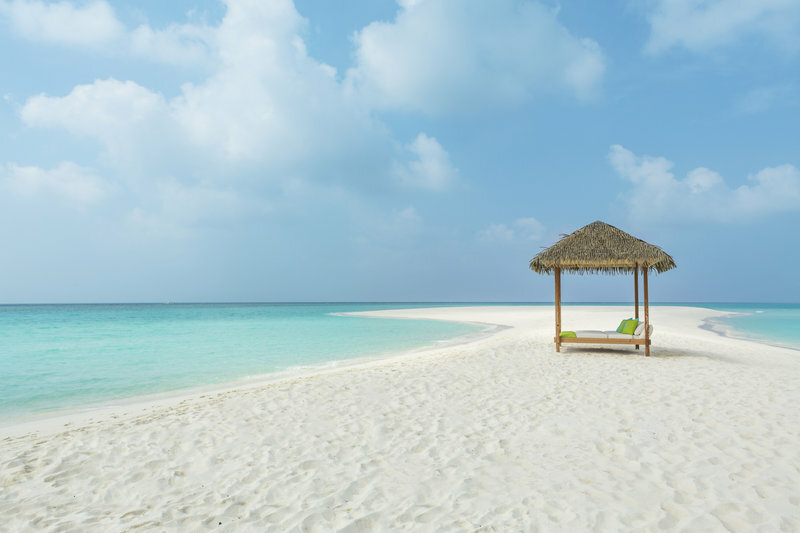 On Sunday 21st April, the luxury Hurawalhi Island Resort is offering guests a once in a lifetie Easter celebration with an extravagant Easter feast on the resorts private stretch of pristine white sand beach – Dream Island. In an exclusive culinary event with renowned Executive Chef Warren Moore of 5.8, Hurawalhi will offer a tantalizing menu of fresh seafood, fine cuts of meat and delectable vegetarian and dessert options with free-flowing premium beverages in this oceanside BBQ on Dream Island. An adults-only oasis, Hurawalhi are also embracing the Easter traditions with an adults Easter egg hunt, where guests will be on the hunt to win luxurious prizes including a 2-night complimentary villa stay and a dinner for two in 5.8, the world’s largest all-glass underwater restaurant. As the sun sets on Dream Island, guests can relax in the ocean breeze with a speciality Easter cocktail and music from a live guitarist for a celebration to remember. This Easter, one of the world’s most private islands, Velaa Private Island transforms itself for an exciting line up of family fun as the Lion King takes over. Stampede your way to first place at the Cheetah colour run, become an undercover animal track detective or discover the island on a buggy safari as you whizz through the sand. As night falls, families can watch films under the stars with outdoor cinema nights, take a seat for a Hakuna Matata themed show night or a beach picnic as the sun sets. Or those who just can’t wait to party, the Kid’s Club will host Jungle Glow Neon Parties, Flamingo pool parties and wacky pajama parties. And no Easter break would be complete without an egg hunt as the island kits itself out for the golden ostrich egg hunt. Whilst the Kids are occupied, adults can enjoy personalised tasting menus at Aragu, discover the Maldives’ largest wine cellar, rediscover their inner peace at the Spa or take a private dolphin watching cruise. Hidden away within a collection of islands known as the Noonu Atoll at the most Northern point of the Maldives, Velaa Private Island is the only resort in the Maldives that has a strict no drone rule, in-room dining direct to the ocean, a ratio of 1:8 guests to staff and with dedicated butlers; it is privacy personified.